The sale of Blu-ray players is going to peak this year or next, Roku CEO Anthony Wood predicted at the TV of Tomorrow show in San Francisco Wednesday. Wood used his keynote to share his view of the future of the connected TV space, which has unsurprisingly put a big emphasis on streaming players. Wood admitted that today, most streaming happens on game consoles, but said that he doesn’t see much growth in that area. “New customers don’t go out and buy game consoles to stream video,” he said. Instead, Wood sees momentum shifting to streaming players like the current-generation Roku boxes, as well as Smart TVs. “Our goal is to be the dominant platform in those two segments,” he said. Roku’s streaming stick, which is scheduled to go on sale later this year, would be a first step for the company into the Smart TV space, he said. Wood also shared some new numbers about his company’s performance: He said that Roku made $100 million in sales last year, and that the number of devices sold tripled year-over-year. However, he didn’t mention that the company missed its projected sales goal by 500,000 units. Roku has a broad selection of content, but also has some major holes, including YouTube and a reliable DLNA client. I think they’d be in a much stronger position by licensing their software platform to existing Blu-ray and smart TV manufacturers than trying to go it alone. I have yet to experience a streaming HD program that has a DTS Master Audio track. Blu-ray is much more than just 1080p video….and even there I have yet to see any stream compare. The sky is NOT falling on Blu-ray within 4 years, and that is a fact. True, but the cost benefit of blue ray may be running out when consumers factor in that they have to go to best buy, hope their movie is in stock, pay extra cash for it to be in a nice hard case, disc, etc. When I can click buy in 3 seconds with a comparable format and quality. Highly unlikely that your 3 second download will outperform the Blu-ray Disc in either video or audio performance. I have to agree with ChickenLittle on this. His concept is OK, but is timing isn’t. It’ll be more like 10 years before ISPs and the streaming infrastructure will be able to handle the traffic volume needed to replace Blu-ray. Most people dont even know what a ROKU is and are completely unaware that it much softer TP than Charmin. 4 years? LOL! These guys just love the smell of their own farts. One big kink in his prediction is the TV/Movie industry isn’t ready to let go of the money making disc. They now pretty much own the pipes and with bandwidth caps it’s going to put the breaks on online video. For me, they lost my business when I was buying plenty of new DVD’s with extras, then they migrated the extras to BluRay exclusively in a number of movies. The last straw was, I think, the first Sherlock Holmes with Downey. I wasn’t going to be forced to BluRay, and haven’t been. I don’t know how this will shake out, but they put studio cash into a lot of extras – which they are going to have to repackage into a streaming model some day soon. But those who already have a game console have no reason to buy a Roku. Yes they do as Roku offers many interesting channels that I don’t believe are available on most other devices. Also Roku offers subtitles and advanced audio which isn’t available on all other devices. You can put the tiny Roku into your backpack or jacket and carry your channels & subscriptions with you. Most models will plug into any television. I could go on. 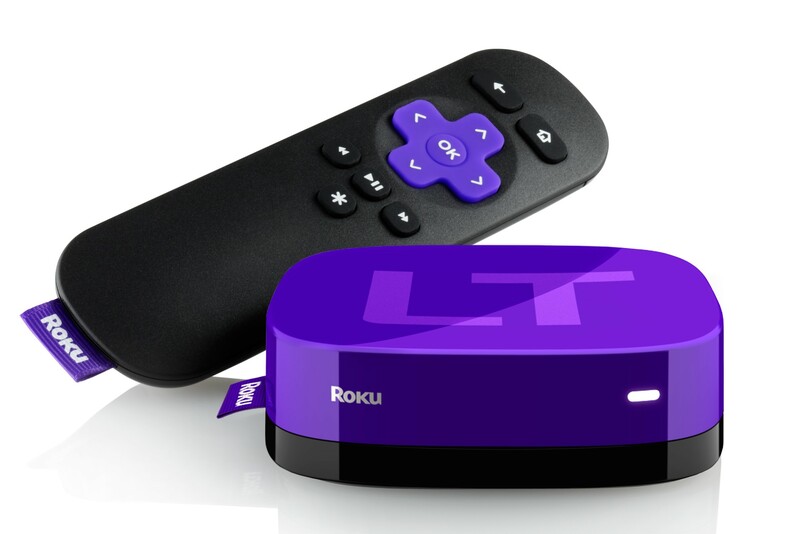 Roku would sell a couple more units if there was a trade-up program available. My XD and XDS are begging to be replaced by their Roku 2 equivalents. They do have one, it’s called eBay. Streaming “HD” content on a 60″ HDTV is nothing like watching the Bluray.